Good win for Leicester against Liverpool last night. The space in behind Liverpool's midfield was incredible!! Nothing but grass and a goalkeeper (term used loosely). Opens the table up nicely. 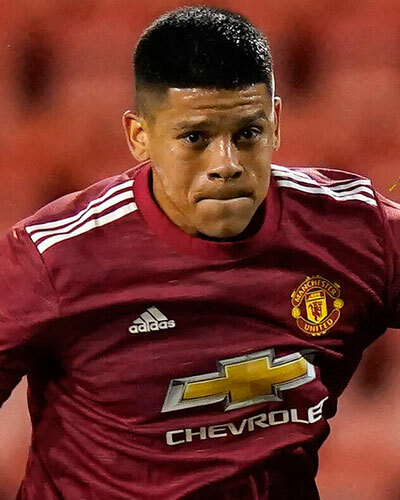 First premier league goal for Marcos Rojo today. Manchester United has become the UK's first football club to partner with leading lesbian, gay, bisexual and transgender (LGBT) charity, Stonewall. The ground-breaking initiative will see the club work alongside Stonewall, helping to tackle LGBT issues in sport and society, while looking at best practice and ways in which inclusion and equality can be improved in football. Through the partnership, United have become an official member of TeamPride, helping to form opinions, share best practice and influence behaviour by using the power of sport to harness the message of equality within the LGBT community and wider society. The TeamPride coalition is made up of a number of global businesses from a wide spectrum of expertise and ensures that support is given to fans, players and those involved throughout sport, in issues around homophobia and discrimination, looking at ways in which to eradicate anti-social behaviour around these areas. The club initially teamed up with Stonewall last year, attending the annual TeamPride conference, before taking part in the charity’s Rainbow Laces campaign, which sees many professional football clubs back the LGBT initiative. As part of the club’s ongoing pledge to Stonewall, Old Trafford will host Stonewall’s Rainbow Laces Summit later this year, with workshops and key speeches on dynamic ways LGBT inclusion can be implemented throughout all sports. Speaking of the commitment to TeamPride, Manchester United’s Group Managing Director, Richard Arnold, commented: "Manchester United always looks to be a leader in everything it does and we are proud to be the first sports club to sign up to TeamPride. "The club has an ongoing commitment to equality across all areas and with 659 million followers around the world, it is our responsibility to show support and recognition to everybody who loves this football club. "We have built up a positive working relationship with Stonewall and it’s a great way for us to learn from each other and progress together as we strive for equality for all of our supporters. Ruth Hunt, Chief Executive of Stonewall, added: "Manchester United’s support means we can reach millions of football fans both here and around the world, to encourage them to do their part in making all people feel welcome in sport. "It’s crucial for organisations like Manchester United to show they not only welcome LGBT people, but are active in leading the change. At the moment, many LGBT people want to take part in sport, either as players or fans, but the behaviour of a minority can make them feel unsafe, unwelcome or unable to be themselves. "There’s so much work left to do to ensure that all LGBT people feel able to participate in sport, and we hope to see other clubs take Manchester United’s lead and join the Rainbow Laces campaign to make this a reality." In 2016, Manchester United launched its own equality, diversity and inclusion programme, #allredallequal, encompassing the club’s work in this essential area, both on and off the pitch. Neil Taylor, you utter c**t.
Matic, most important signing for them in years. Shocking defeat for Liverpool today. Terrible defending for all five goals. Let's hope United can get a result against a tough Stoke side this evening. Great performance by Swansea tonight. Poor old Liverpool... Dumped out of the cup by West Bromwich. Ancelloti & Pirlo would be great for the Gunners.. Why Chelsea never tied him down is beyond me.. Brendan Rodgers..!! Six in a row Klopp? Think he might need to reasessr his game management. Dont you usually do game management when you’re in a position of power?